I created my 2011 Movie List on December 21st of last year. With two months to go until the Academy Awards, my goal was to see all the movies on said list before Oscar told me which of the "Best Movies of the Year" was, in fact, the best. Well, the deadline came and went, and unfortunately, my list remained. But now, three months later and almost halfway through 2012, I'm proud to say I have finally done it! And though the Red Carpet is no doubt in need of some serious vacuuming by this point, I would like to take this opportunity to announce, in no particular order, my three favorite movies of 2011. The good news is if you haven't already seen them, they are all out on DVD. Fact #1: Graphic violence in movies makes me graphically depressed. Fact #2: Because of Fact #1, the only Martin Scorcese film I had seen prior to Hugo was The Aviator. Fact #3: I am now officially a Scorcese fan. I love Hugo because not only does it make movie magic, it makes movie magic magical! So rarely does a glimpse into history educate an audience and encourage its innocence at the same time. I have a feeling this will be a movie that I'll watch throughout my lifetime and continually be impressed by something new and moved by something familiar. It's no big secret that Paris has become Woody Allen's new New York, and as far as I'm concerned, thank goodness it has! 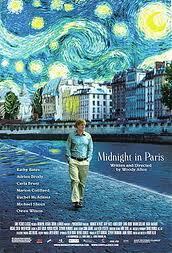 Midnight in Paris is one of my all-time favorite Woody Allen movies. Period. Everything about this movie felt fresh. Mr. Allen cast Owen Wilson to play the part he would have played 20 years ago and surrounded him with the energy of an amazing ensemble. The film is clever and fanciful, and I ate it up like a freshly baked croissant. Let's get one thing perfectly clear; I hate being manipulated. That "Christmas Shoes" song where the kid asks a country singer for money to buy his sick mom some shoes before she meets Jesus? I can't stand it. I feel like they were all in the recording studio, dollar signs in their eyes, thinking about all the suckers that would cry every time their song came on. That being said, when I heard the name of this movie being parodied as "Exremely Loud & Incredibly Manipulative," it went from being at the top of my movie list to one of the last. Then, I saw the lead kid win an award on TV, and I thought he was super annoying, so I was even less excited to see it. Then, I saw it. I loved this movie! Even crazier, I loved the super annoying kid! Perhaps what I was actually feeling when I saw him on that awards show was embarrassment, like how I'd feel now if my performances in childhood home videos had been released in theaters when I was 12. My insecurities aside, though, I thought Extremely Loud & Incredibly Close was relatable and touching and full of subject matter that could have gone wrong in oh, so many ways. Family death and 9-11 make for one fine line, but every time I started questioning if this film could walk it, I was confidently reassured that it could. So that's it! A little late, perhaps, but those are my favorite films of 2011. Before I start on 2012, however, I'd like to point out that these three films I chose share quite a bit in common. First, both Hugo and Midnight in Paris take place in France. 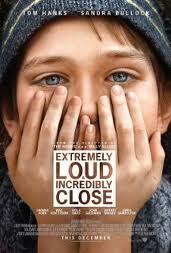 Second, both Hugo and Extremely Loud & Incredibly Close have young, male protagonists. And finally, all three movies are, in their own ways, about miracles. I guess that means I need to visit Paris, pay a little more attention to my inner child, and keep an eye out for miracles of all shapes and sizes. From steam punk robots to time traveling authors to that elusive sixth borough, I guess you never really know what kind of "cinemagic" your life might make. Other films I really liked last year: 50/50, The Tree of Life, Take Shelter, and Melancholia. I have wanted to see "Extremely Loud..." and now I really need to see it! 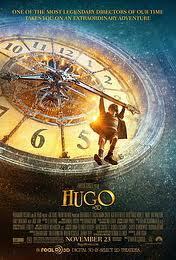 I loved Hugo (read/watched the book when it came out). And I must agree with you COMPLETELY about the Christmas shoes song....I HATE IT...okay, that is a very strong word....utterly dislike it!...is that better?...one of my LEAST favorite songs....along with Grown-up Christmas List...the end!